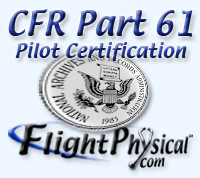 § 61.5 Certificates and ratings issued under this part. (i) Large aircraft other than lighter-than-air. (iii) Other aircraft type ratings specified by the Administrator through the aircraft type certification procedures. (iv) Second-in-command pilot type rating for aircraft that is certificated for operations with a minimum crew of at least two pilots.